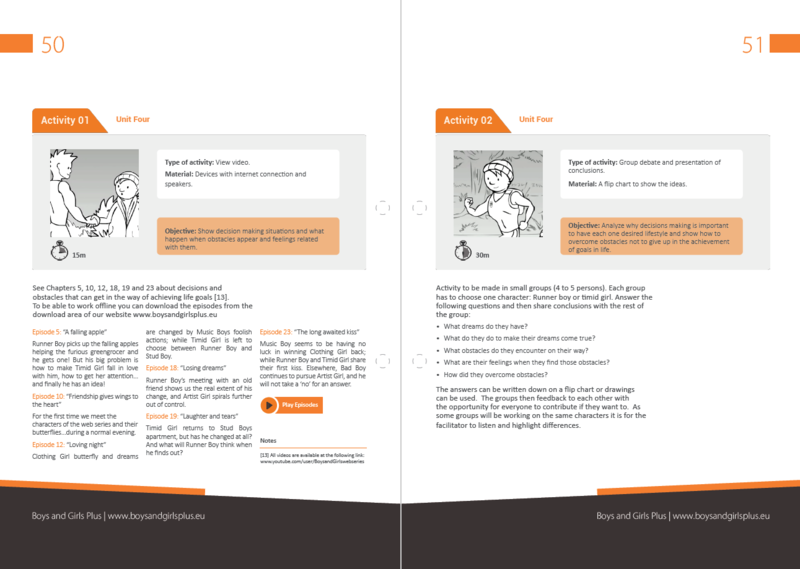 HomeBlog Download the Boys and Girls Plus prevention programme! 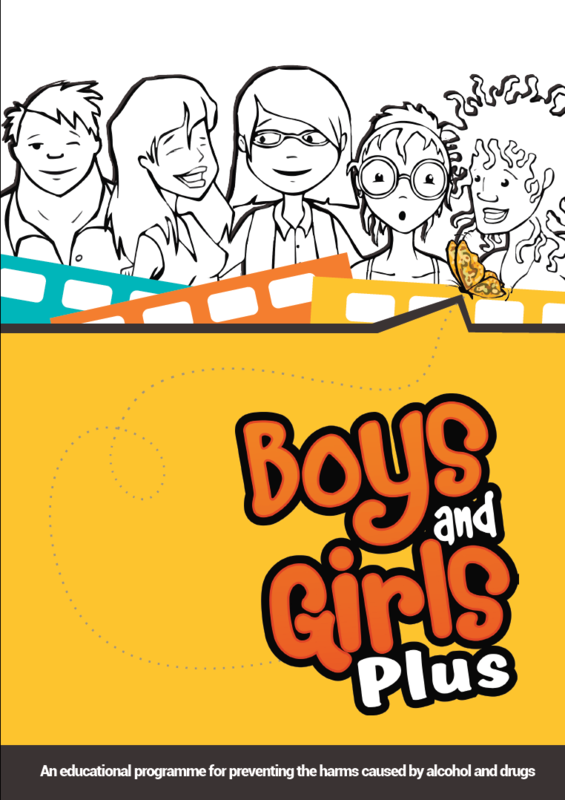 Boys and Girls Plus is an initiative funded by the European Union. It is based on the webseries Boys and Girls and its main aim is to raise awareness about drug abuse related-risks among European teenagers. To accomplish this objective, the Boys and Girls Plus programme based its pedagogical principles on the life skills model as a strategy to manage the social influences in drugs use, which has shown promising results from the research undertaken by Gilbert Botvin. The programme is based on three pillars: improving Information, promoting the development of healthy attitudes and developing Life-Skills. Boys and Girls Plus aim is to offer an evaluated health promotion programme to educators in different educational settings. 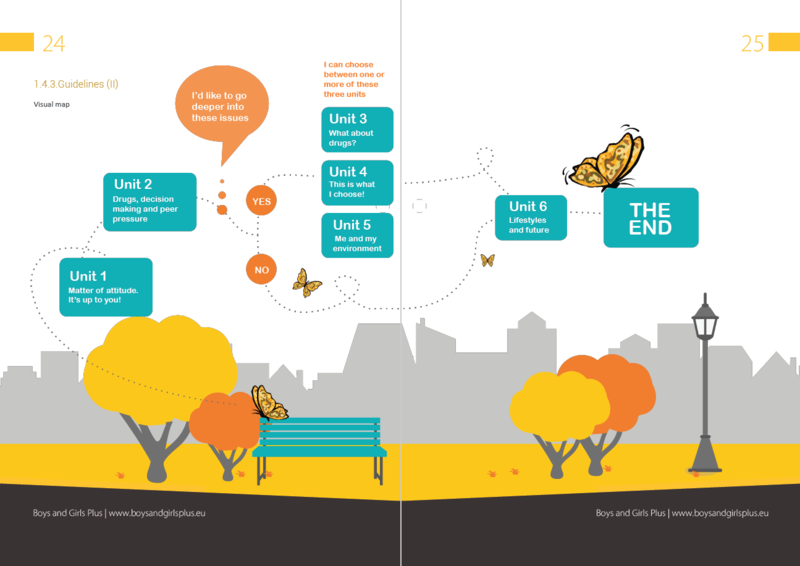 The collaboration between experts in different areas (educational programmes creators, training experts, researchers and practitioners) allowed the development of a flexible and comprehensive intervention programme. The programme is composed of 6 units (45 to 135 minutes). Each unit is independent. Each unit includes 4 activities. Activities 1 and 2 are compulsory activities of each unit. Activities 3 and 4 are electives as you may want to work in more depth on that unit: Activities 3 include group discussion and activities with less personal disclosure by participants (third person examples). Activities 4 are focused on personal reflection and analysis of motivations and feelings of participants. 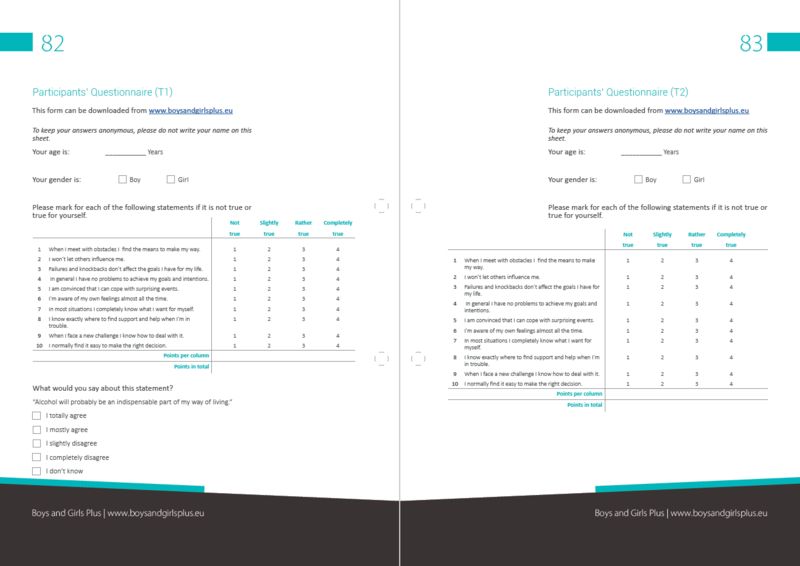 The programme has an interactive methodology in which the conversation is the main tool. Through dialogue young people will develop their own script/language about their attitudes towards life that will help them resist peer pressure. More about the methodology can be read directly inside the manual, available at the link that you will find in the end of this page. 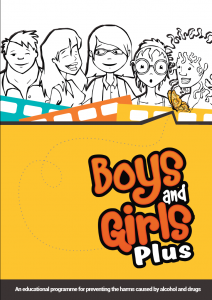 The Boys and Girls Plus manual is currently available in 7 languages: English, Spanish, Czech, Slovenian, Greek, German, Danish. It will be soon available also in French and Dutch.